Recently, I received a text message from an old friend. Although the message was only two sentences long it jolted me in a good way. The words were powerful; tears filled my eyes instantly. It took me back in time to a meaningful experience I shared with someone I love. At that moment God reminded of His purpose for my life; He reminded me why I do what I do. Let’s back up thirty years… In 1989 I accepted Jesus Christ as my Lord and personal Savior. Before Christ, I lived a very rebellious life. Although I was raised in the church, I had distanced myself from the faith. During my teenage years, I rebelled against God and my family. Far from Jesus, I was a prodigal who indulged in alcohol, drugs, and the lifestyle that came along with it. One of my closest friends during that period was a guy named, Anson Esquivel. Anson and I met in middle school and immediately hit it off. We were both musicians, which served as an instant point of connection. Since he lived within walking distance of our school his house became a home away from home for several within our group of friends. I stayed at the Esquivel household enough that I felt like an extended part of the family, although Anson’s mom would have said differently back then. In fact, to this day we laugh about how she strenuously objected to her son hanging out with me. She’s Korean and when she spoke in her native language I couldn’t understand what she was saying. Years later I learned that her rants went something like this, “Anson, that boy is no good! Stay away from him!” — Just to clarify, she loves me now. In comparison to most people I’d grown up around there was something different about the Esquivels… They didn’t go to church. Ponce is Anson’s father, and although he was raised Catholic he didn’t adhere to any particular set of religious beliefs. Thus, there weren’t any spiritual convictions that seemed to guide their family. Looking back, I believe one of the reasons I enjoyed staying with Anson on the weekends was so I wouldn’t have to go to church. That’s how far away from God I was. Beyond being part of the high school party scene, Anson and I also played in several bands together. His father always encouraged us musically. He even built a small practice studio in the back of their garage. We rehearsed often and spent many hours writing songs in that little studio. Jamming out as Anson’s house was always a lot of fun. After surrendering my life to Christ, within a short time I was able to share the gospel with several of my closest friends. Anson was one of those friends. I’ll never forget the night he gave his heart to Jesus. I was praying behind him at the altar; when we got done I asked if he felt better. With tears in his eyes and a smile on his face, he responded, “h*#% yeah!” I chuckled and told him since he’d decided to follow Jesus it’d probably be a good time to stop cussing. That was in 1990. 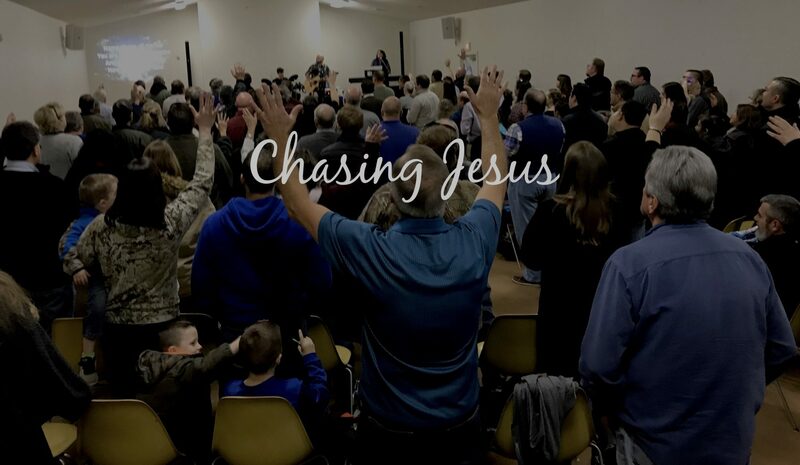 Fast forward… Twelve years later the Lord led me to plant a church. Anson and his family were there from day one. During this period he began to grow as a Christian. He was extremely dedicated to the new church plant. He helped lead the praise team, served on the church board, and later answered the call to ministry and became the youth pastor. It’s been amazing to watch God work in Anson’s life over the years. He is currently on staff at a Wendover Hills Wesleyan Church in Jamestown, NC. This has to be one of the best messages I’ve ever received. As tears filled my eyes I thought to myself, we don’t always see the extended harvest that comes from sharing our faith. However, we can be sure that God uses it to bear fruit, as His Word never returns void (Isaiah 55:11). It’s impossible to know exactly how sharing the gospel will play out in another person’s life, but make no mistake God always uses it for good. So, never be afraid to tell others how Christ has changed your life. Walk with people, point them to the cross, help them make sense of their life by connecting them with Jesus. Let God use you to reach people, because those people will reach more people, and those people will reach more people, and those people will reach more people… and it never ends. This is the call of the Great Commission, or as I like to call it, the Great Revolution. In the Great Commission, Jesus invites us to give our lives to something bigger than ourselves. He’s essentially saying, “I want you to go out and reach people who are seeking something better, people who are lost and trying to find their way home, and I want you to help them find Me.” In Matthew 28 we witness a revolution being unleashed, unlike anything the world has ever seen. When I received these two sentences from my old friend I was reminded why Jesus never lets up on this. It courses through every sermon, every teaching, every miracle, every interaction, and every conversation. This idea represents everything Jesus’ life was about. If there really is a God on the loose, if there really is an eternity at stake, then being in a right relationship with God means everything, which is why sharing the gospel is so important. So, what does it mean to “go make disciples”? It’s simply being willing to share your life with the people God places in front of you. It’s reaching out to people you come in contact with every day. It’s letting Jesus use you to influence people you already have a relationship with. It’s trusting the Holy Spirit to speak through our words and actions as we obey Jesus’ command to share the good news. I can’t tell you how many people I’ve sat with on the bleachers over the years watching my kids play sports who’ve ended up coming to church and giving their lives to Christ. I can’t count how many people I’ve met in the places I frequent in the cities where we’ve lived that ended up in church living for God. Pointing people to Christ doesn’t mean beating them over the head with the Bible. It doesn’t mean trying to talk them into something like a high-pressure salesman. It simply means loving them enough to develop a real relationship and allowing the Holy Spirit to work through you to share the good news about Jesus. It’s about loving our friends, family members, neighbors, and the people where we may work or go to school. It’s about loving the people we see at the gym, at the playground, talk to while our kids are playing sports, the person who cuts our hair or takes care of our kids. The possibilities are endless when we allow the love of Jesus to flow through us as we take the call to share the gospel seriously. After giving my heart to Christ nearly thirty years ago there was no way I could abandon my friends. I loved them too much to run away and hide in my newfound spirituality; too many Christians make that mistake. Instead, I had an urgent desire to point them to Jesus. Now, after all these years, one of my closest friends, who accepted Christ not long after I did, was able to lead his own father to Christ and even had the privilege of baptizing him.